The Department of State is disputing a report that Secretary of State Mike Pompeo listened to an alleged audio recording during a trip to Turkey on Wednesday of Saudi Arabian journalist Jamal Khashoggi being murdered at the Saudi consulate earlier in October. “Secretary Pompeo has neither heard a tape nor has he seen a transcript related to Jamal Khashoggi’s disappearance,” State Department spokeswoman Heather Nauert said in a statement. ABC News reported earlier Thursday that a senior Turkish government official said Pompeo heard the audio recording and was provided a transcript during meetings in Turkey on Wednesday. 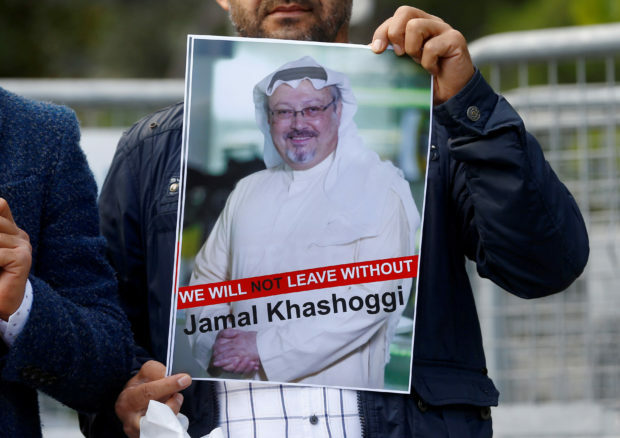 Khashoggi, a Washington Post contributor, visited the consulate to obtain paperwork to get married. According to various anonymous Turkish government officials, Khashoggi was cut up into pieces after his death. The U.S., however, has not yet confirmed his death. While U.S. government officials, including President Donald Trump, have said they believe something happened to Khashoggi, the events leading up to his potential death remain unclear. News reports from the Turkish press have also come under scrutiny because of the outlets’ close ties to the Turkish government.